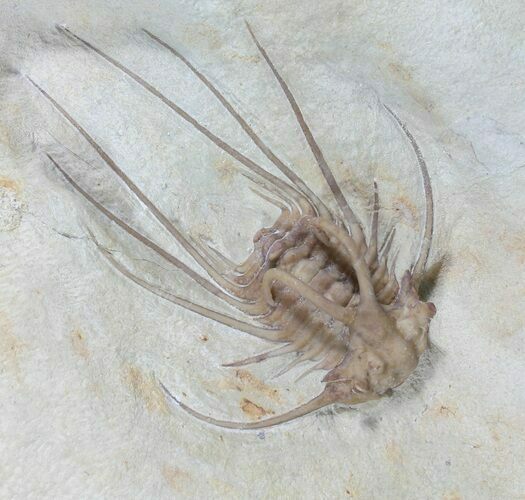 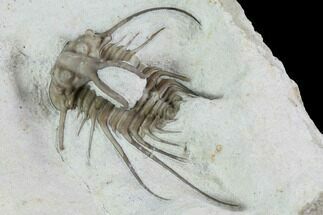 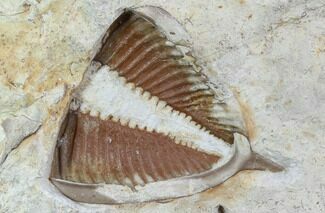 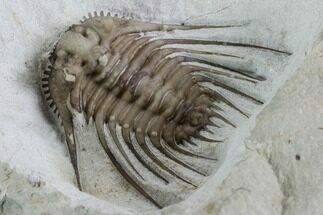 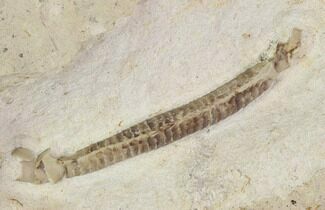 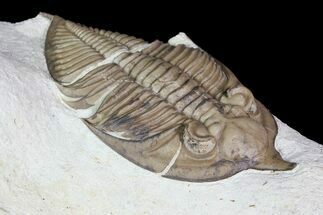 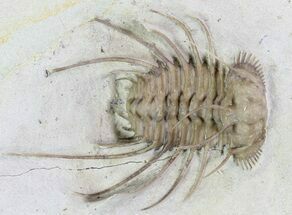 Dicranurus is a rare trilobite in the Haragan Formation with only a few complete specimens being found at the Black Cat Mountain Quarry each year. 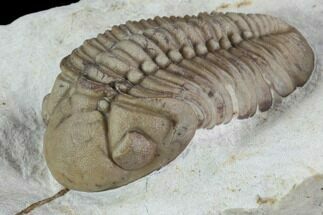 This magnificent example was prepared by Bob Carroll. 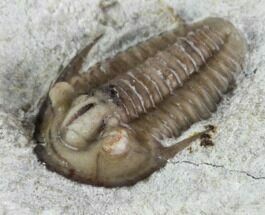 This 2.05" specimen is exquisite with a carmel colored shell that contrasts nicely against the light marlstone matrix. 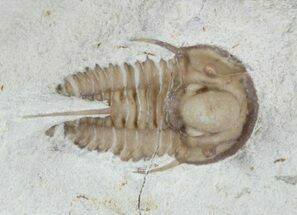 The distinctive horns have been prepared free-standing.